Explore Exmouth in style! 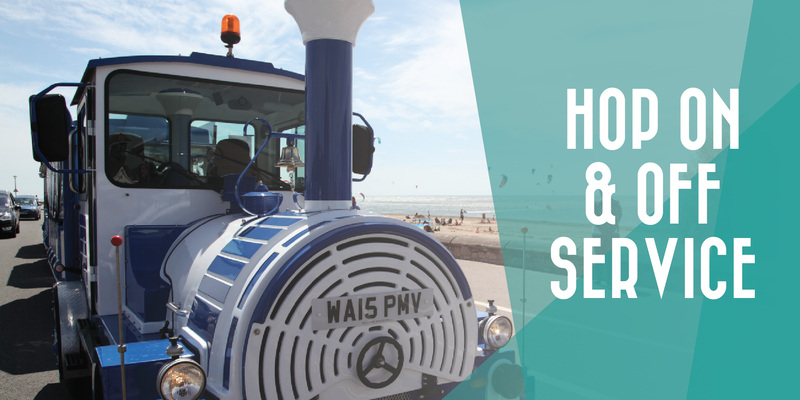 Hop on & off the unique Exmouth Land Train to visit the picturesque Exmouth seafront and town centre. Explore the town with its range of independent shops, and two miles of golden sandy beach. 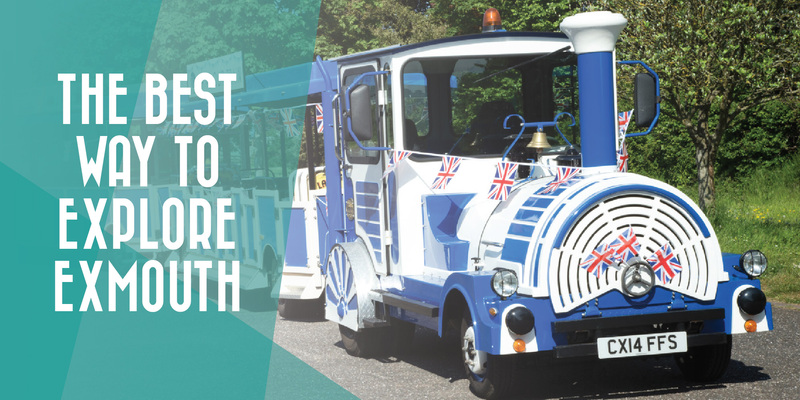 With excellent eateries and stunning scenery across the Jurassic Coast, Exmouth Land Train is the perfect way to get around. Three sections to visit at just £1 per person. Runs daily 10 am – 4 pm throughout the season. 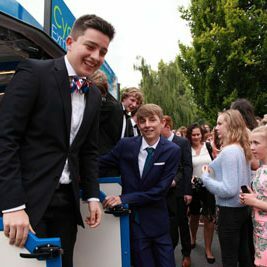 Make use of Exmouth’s cheapest all day parking and enjoy a lively and informative commentary from our Exmouth Ambassadors. 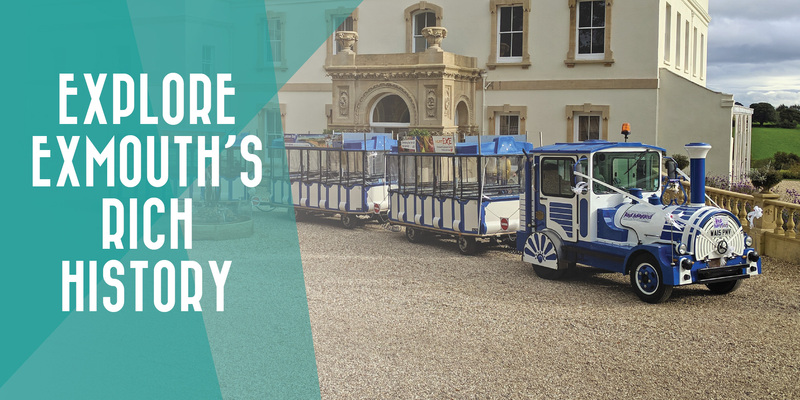 The Land Train is a perfect way to travel around Exmouth either as a guest to our seaside town, or a resident. 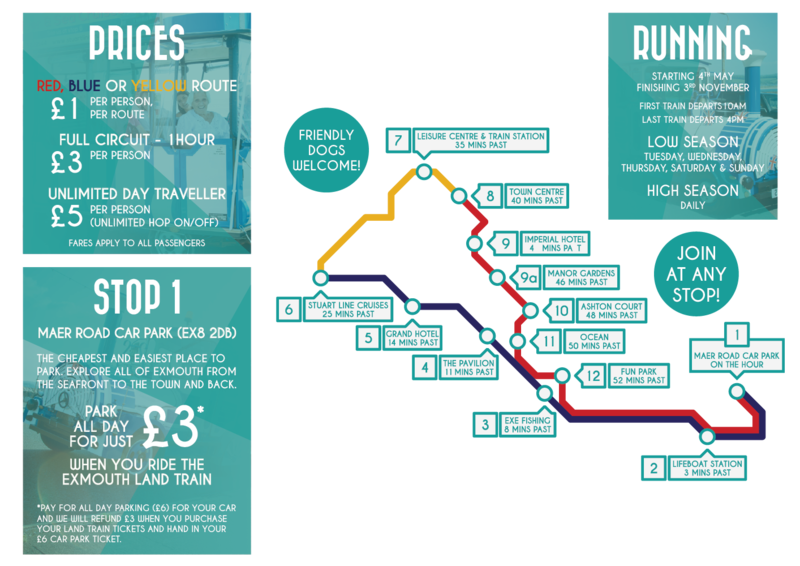 Stops at Exmouth Leisure Centre & Train Station too! Our two train fleet offers a one-of-a-kind private hire experience second to none. 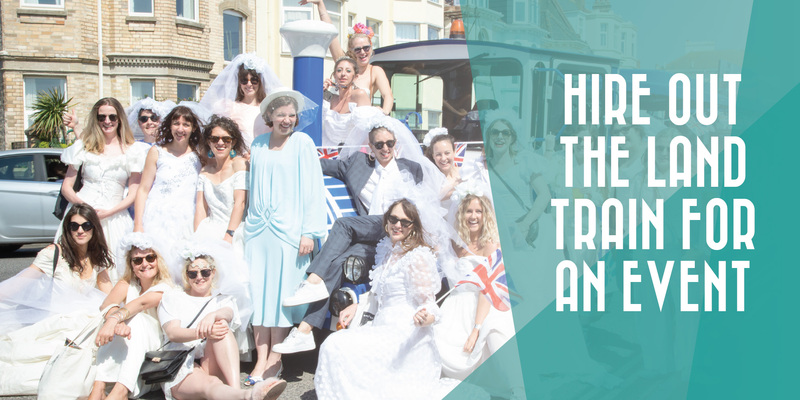 We aim to make your dream a reality – from weddings & proms to ferrying guests to an event or the Christmas lights turning on, the possibilities are endless. Call us today on 07597-358659 to hire one or both of our trains from only £150 per hour. Please refer to this route map for our stops, pricing, timetable and parking info. If you have a question or need clarification, please get in contact.